In this emotional story, the son of a Pentecostal preacher faces his personal demons as he and his two outcast friends try to make it through their senior year of high school in rural Forrestville, Tennessee, without letting the small-town culture destroy their creative spirits and sense of self. 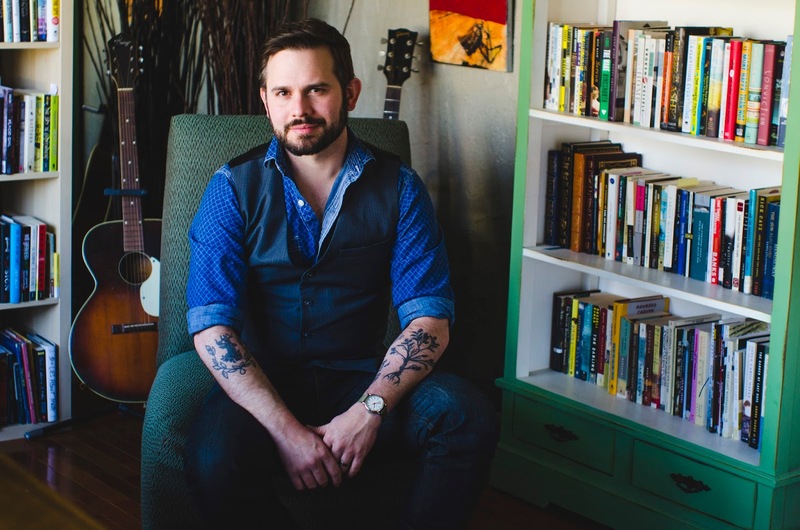 Drawing from his own roots growing up in the south, Zentner’s debut is haunting, heartbreaking, and hopeful, and is in the vein of beloved novels The Perks of Being a Wallflower, Looking for Alaska, and Eleanor & Park. How is it every time we're talking about the real world, you manage to bring up fantasy, and every time we're talking about fantasy, you manage to bring up the real world? Travis shrugged. "My fantasies are more interesting than the real world and machines and tools are more interesting than you guys' fantasies.? She's it. She's my everything. She's the standard by which I'll judge beauty for the rest of my life. I'll measure every touch to her breath on my skin. Every voice to her voice. Every mind to her mind. My measure of perfection. The name carved into me. If I could, I would lie with her under these stars until my heart burst. If you're going to live, you might as well do painful, brave, and beautiful things. “The Serpent King gripped me in its coils and kept me turning pages late into the night. 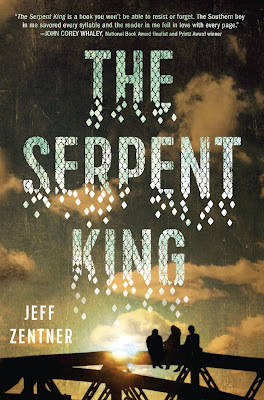 In her pre-word, executive editor at Crown Books for Young Readers, Emily Easton, said that "The Serpent King is filled with wry wit and deep tragedy and has a huge, beating heart at its core." And she also warned us to "keep some tissues handy." Listen to the lady, people, for she speaks the truth. I wasn't quite sure what to expect going into The Serpent King, but one thing I can tell you for sure now is: I came out of reading it a different person. This book impacted me in more than just one way. It resonated with my personal experiences and left me with a sort of dull ache at the bottom of my soul (or perhaps my stomach, if you want to keep it less poetic) that both scared me and made me feel inspired and enriched. I'm not crazy, I promise you. Neither am I high. Unless we're talking high on literary catharsis, then yes, absolutely. This isn't your standard daily cup of angsty YA contemporary filled with awkwardness and somewhat embarrassing self discovery, not by a long shot. The Serpent King explores some seriously heavy topics, while giving off air of incredible vulnerability. And all of it is done in a very honest (sometimes painfully honest), yet sensitive way. This book sneaks up on you and guts you before you realize what's happening. Dill's father is in jail, serving a sentence for something way worse than tax evasion or influencing his flock to drink diluted battery acid and strychnine (as believed by some people). And like that wasn't bad enough, he is a minister known for his extreme, borderline fanatic faith and practices. And he wants Dill to follow in his footsteps and spread the faith through music. But how do you keep steady in your faith, when the world around you is changing so fast, too fast... Your father is in jail, the girl you have feelings for (and who has no clue about those feelings) is excited at the prospect of leaving hometown and going to college, the kids at school are tormenting you because of your father's crimes and your own mother doesn't seem to understand you at all. How do you keep going when everything is coming to an end? The wry sense of humor is definitely a big part of why I enjoyed this book so much. Not only because it was flawlessly executed, especially in the dialogue parts between Dill, Travis and Lydia, but also - or perhaps most of all - because it helped keep the mood of the novel relatively light (at least on the surface), or rather not too morbid and dramatic, which would be expected of a novel dealing with such heavy, difficult subjects. Another thing that made this book for me, was the fact that it's told from three different points of view - Dill's, Lydia's and Travis' - that come together seamlessly, painting a completely believable picture. I loved getting to know each of these characters - they're not stereotypical teenagers, or maybe they are, but they felt very unique and also very real. Lydia is a popular fashion blogger and Travis is a big nerd who takes his oaken staff with him wherever he goes. They're so incredibly different from one another, and yet they're close friends and they make it work. I loved how these three interacted with each other, but I also loved each of them as individuals. Jeff did a great job with character development. 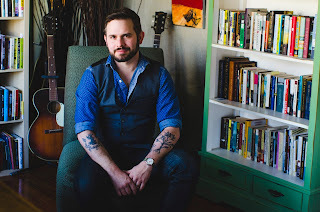 Jeff Zentner is a brilliant musician (singer, songwriter, guitarist) turned (equally brilliant) YA writer. He already knows his craft well, and it is perfectly clear as you read this book that this guy is a born storyteller. From what I've seen on his Instagram (yes, I'm a stalker. No, I have no shame) he is just as witty in reality, as he is in his book (check out that Sock Sunday post Jeff did, seriously). And while it is almost never possible to say if you will love someone's next book as much as you loved the previous one,I am willing to bet that this is a writer that will remain on my automatic to-buy and to-read list,right next to Andrew Smith, A.S. King, Amy Zhang and Anne Stampler. Sometimes you just know.